Check out the surprise Nadeo sent me today! I've had some amazing adventures with Nadeo and Ubisoft through TrackMania and ShootMania, from the GEEX 2010 TrackMania United Forever tournament, to the epic GEEX 2011 TrackMania 2 Canyon tournament just after the game's release, to PAX Prime 2012 where we showed off the ShootMania beta. You'll remember that when I was at PAX, I got to meet and work with several members of the Nadeo Live and Ubisoft teams. The Nadeo crew were wearing these really great jerseys that have the ManiaPlanet logo on the front, then the player alias and player number on the back. I loved those shirts! And Nadeo was kind enough to make me a jersey and now I feel like an adopted member of the team. It was a super awesome gift that I'm honored to have. 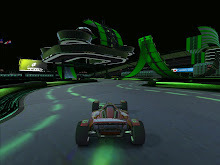 I wish Nadeo many more years of success with the ManiaPlanet franchise, and hope that we will see many more TrackMania environments for its next decade! 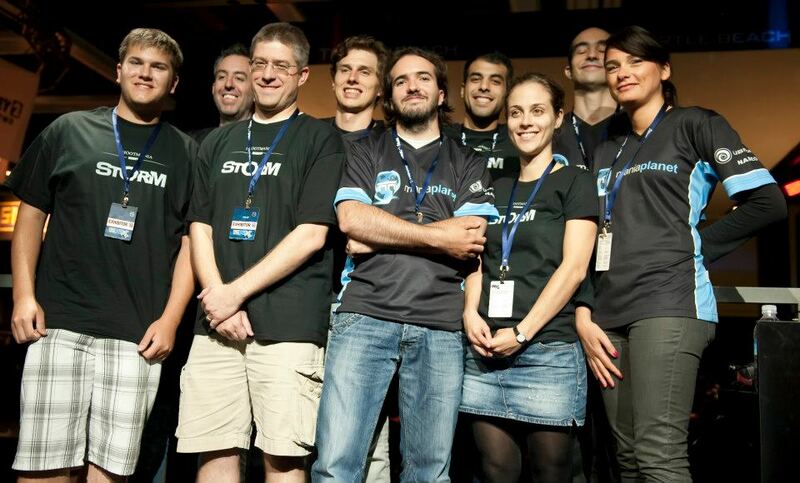 While we're on that subject, I should remind everyone that TrackMania 2 Stadium and ShootMania Storm are free-to-play until April 2015! Check them out if you haven't already! Thanks again Nadeo for showing the spirit of giving that makes Christmas so great. I hope we can all remember to be as giving with our family, friends and neighbors during this Christmas season. From our team to yours, may you find much joy this month and throughout next year! Merry Christmas!